Our 3 N 1 Combo with castle tops. The kids will love jumping, sliding, and the baskeball hoop. 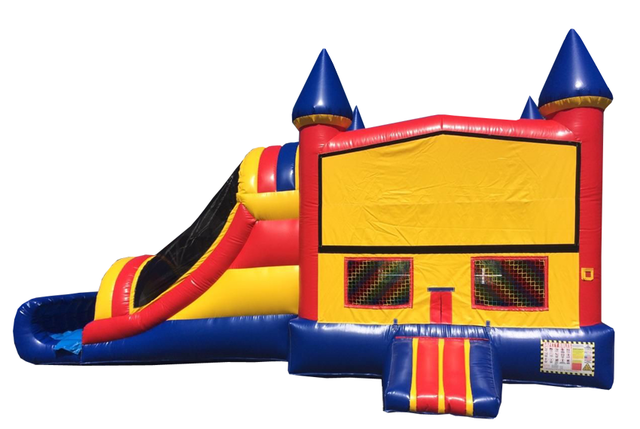 For more fun add the 21 foot obstacle mat and make it the awesome 50 foot of fun. Also add a banner to match your party theme.